Services are scheduled for 10 a.m. Saturday, Sept. 15, at Grace Community Church, 935 W. Mescalero, Roswell, for Edward “Ed” Paul Palma of Arlington, Texas. Palma, 75, our beloved husband, father, grandfather, great-grandfather, uncle and friend, passed away Tuesday, Aug. 28, 2018, in the comfort of his home. He was born Jan. 8, 1943, in San Bernadino, Calif., to Peter and Grace Palma. 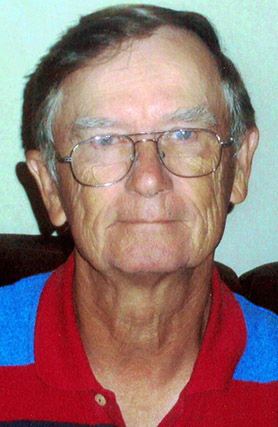 Following his graduation from Redlands High School in 1961, Ed joined the U.S. Air Force, where he served as a missile technician. In 1964, he married Paulette Hegwer, and together they raised three sons. Ed went to work for Mountain Bell and U.S. West in Tucumcari, Socorro and, finally, Roswell, where he and his wife chose to settle and raise their family. 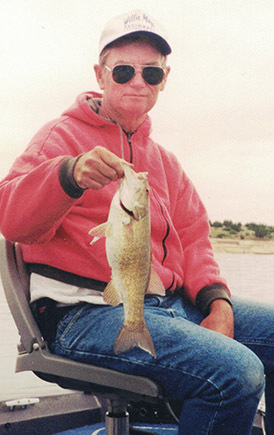 After retirement, he moved to Las Cruces, then to Granbury, Texas, where he could fulfill his dream of living next to a lake in order to have access to his favorite hobbies: boating and fishing. Ed’s kindness, integrity, love for his family, and his love of the outdoors will forever be remembered by family and friends. Survivors include his loving wife, Paulette Palma; sons Dean Palma and wife April, Danny Palma and wife Elaine, and Cris Palma and wife Mary; brother Richard Palma; grandchildren Kaitlyn Brix and husband Tony, Ashley Palma, Ava Palma, Jordyn Palma, Devon Palma, Domonique Garley, Gage Garley, Gabrielle Garley and Avery Johnson; great-grandchildren Logan Brix and Lexi Brix; and other relatives and friends. He was preceded in death by his parents, Peter Palma and Grace Palma. Condolences may be expressed online at www.blessingfuneralhome.net under the tributes section.